This insight into the conditions leading up to core collapse arose from a unique collaboration called the Palomar Transient Factory, a fully automated sky survey using the telescopes of the Palomar observatory in southern California. Astrophysicists halfway around the globe, in Israel, are on call for the telescope, which scans the California night sky for the sudden appearance of new astronomical “transients” that were not visible before – which can indicate new supernovae. 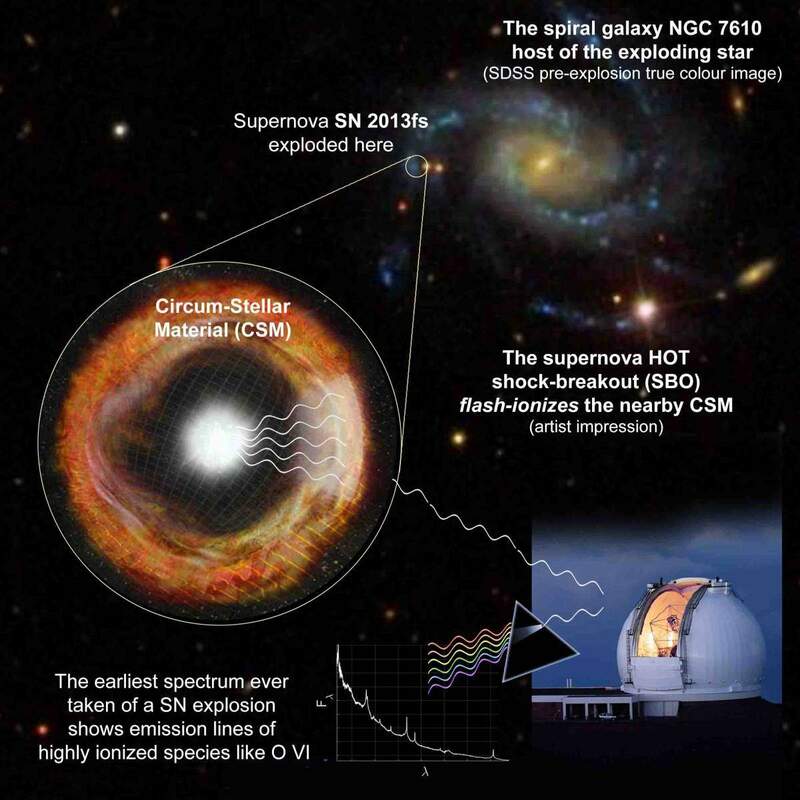 In October, 2013, Dr. Ofer Yaron, in the Weizmann Institute’s Particle Physics and Astrophysics Department, got the message that a potential supernova had been sighted, and he immediately alerted Dr. Dan Perley who was observing that night with the Keck telescope in Hawaii, and NASA’s Swift Satellite. At Keck, the researchers soon began to record the spectra of the event. Because they had started observing only three hours into the blast, the picture the team managed to assemble was the most detailed ever of the core collapse process. “We had x-rays, ultraviolet, four spectroscopic measurements from between six and ten hours post-explosion to work with,” says Yaron. 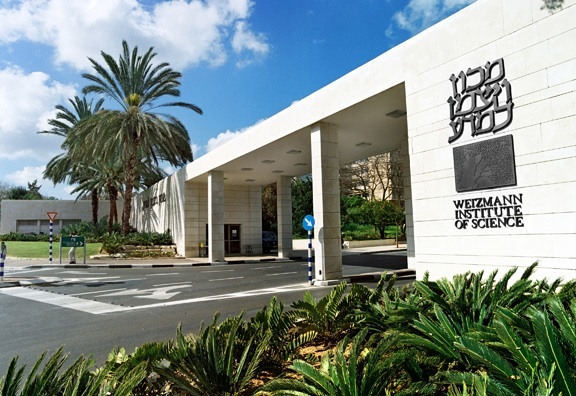 Prof. Avishay Gal-Yam’s research is supported by the Benoziyo Endowment Fund for the Advancement of Science; the Yeda-Sela Center for Basic Research; the Deloro Institute for Advanced Research in Space and Optics; and Paul and Tina Gardner. Prof. Gal-Yam is the recipient of the Helen and Martin Kimmel Award for Innovative Investigation. Dr. Eran Ofek’s research is supported by the Helen Kimmel Center for Planetary Science; Paul and Tina Gardner, Austin, TX; Ilan Gluzman, Secaucus, NJ; and the estate of Raymond Lapon.